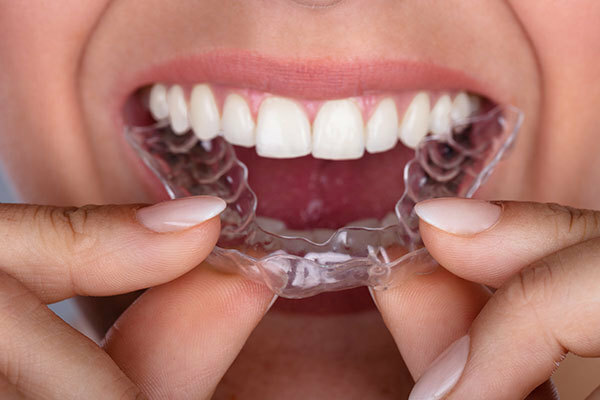 More than just straightening teeth, Invisalign clear aligners have many applications. It is gaining popularity as a technique in the treatment of adults with pre-restorative concerns, such as moving teeth to get ready for an implant, crown or bridge. When using traditional metal braces to move teeth, it is difficult to get the precise spacing to make room for an implant or bridge. Moreover, many adults do not want to wear braces for esthetic reasons. But with Invisalign, you can design the space needed into the appliance so you know the exact size and shape of what will be put into the space during the restorative work. Plus, while patients are going through the Invisalign treatment, we use a pontic (an artificial tooth that replaces a missing tooth) as part of their Invisalign trays, so they can see the size and shape. I also use advanced technology, like a cone beam X-ray, in order to better see the roots so I can move them to the correct position. And that, in combination with the digital setup on Invisalign, we are able to precisely design and execute positioning for implants, crowns and bridges.